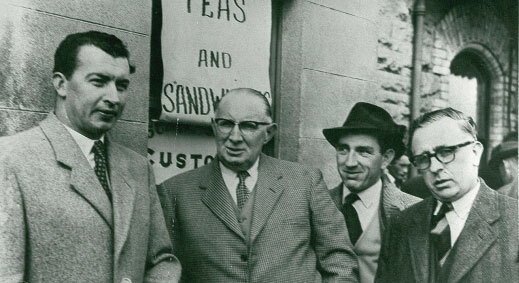 Mr. Joseph Quinn was born in Co. Leitrim on 22 March 1925. The son of shopkeeper, Joe was youngest in the family of 12. He served his time in the builders providers business and in 1947 he decided to branch out on his own. Thus began the Quinn legacy through a small hardware and grocery shop in Mohill, Co. Leitrim. The shop, though relatively small, supplied shelf hardware as well as groceries and in keeping with the traditional aspects of the time it also had a bar. Gradually the business was expanded through purchases of the surrounding/ adjoining properties culminating in a site in the region of 8 to 10 acres. Quinn Bros, as it was known, became one of the largest builders providers in the West of Ireland and carried extensive stocks; building materials, timber, steel, cements, plasters, sanitary ware, furniture, carpets, delph as well as groceries and animal feeds. One could walk in and buy everything to build and furnish a house – the only exceptions were building blocks and sand. At its peak Quinn Bros employed approximately 120 people and delivery services reached many counties including regular deliveries into Dublin. The Sleepers were used for farm buildings and cattle sheds; the bolt which was a triangular headed bolt of high Tensile steel was used to form a drawbar bolt for tractors and trailers (remember this is pre the ball hitch era) As many of the railway materials were purchased overseas, a Dublin depot was required for storage and distribution. A small yard in Ballymount, which in the early 1960’s was very much ‘out in the country’ with narrow lanes such as Ballymount Road, was purchased. 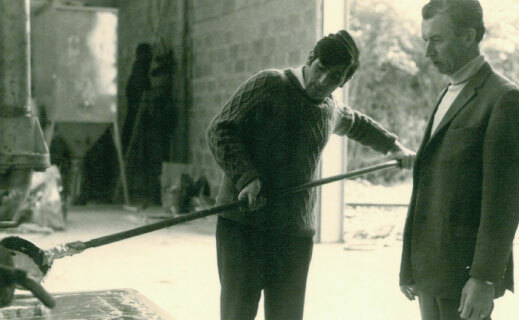 In 1967, Mr. Quinn, through a friend, discovered that a company called ‘Carthorn’ were closing down their business in Dublin which employed a number of people in the manufacturing of galvanized water storage tanks, pressed steel gutters & fittings and many other products. Mr. Quinn immediately seized this opportunity and purchased the goodwill of the company, its raw materials, work- in-progress, finished stock and all the equipment along with the workforce to make the product range – Galco Steel Ltd was born in 1967. Production commenced in late 1967/ early 1968 with manufacturing and a homemade galvanizing bath. In Ireland at this time, it took anywhere between three and six weeks to get material galvanized, the quality generally left a lot to be desired and there were only a few small plants operating. Within only a short time in the Galvanizing Industry, Mr. Quinn believed there was a much greater business opportunity which was untapped. He carried out research in the UK and Germany, and based on this decided that commercial/ jobbing galvanizing had a big future in Ireland. In 1970, Galco opened its first commercial galvanizing plant here in Ballymount on a much smaller site than we have today. As his knowledge and expertise within the galvanizing industry expanded, so did the Quinn range of business enterprises. Mr. Quinn founded a new company, ‘Metal Recovery Ltd’ which was situated in Mohill, Co Leitrim, which carried out Metal Recycling, i.e. the processing of waste materials into re-melt Zinc. Metal Recovery Ltd processed materials from Galco, numerous other manufacturers in Ireland and indeed other galvanizers. Mr. Quinn’s next business venture was to separate the Grocery from the Hardware/Builders Providers. He re-branded the grocery business to Quinnmo (Mohill) Ltd, opening a new modern super- market adjoining the Metal Recovery Ltd premises. 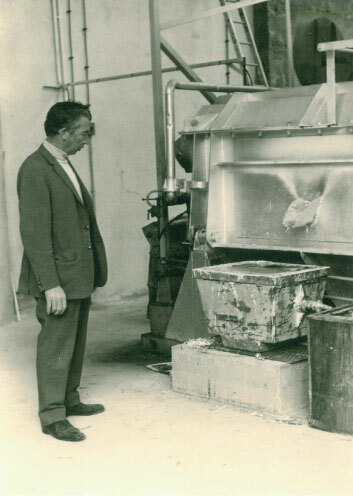 He built Galco from its humble beginnings to the company it is today. His vision, leadership and aspirations continue to shape Galco into the future.. Original site was partly a quarry and farmland! 1967. Incorporation of Galco Steel Ltd.
Business was mainly the fabrication of water tanks, troughs etc. The current paint shop building was the home of the first galvanizing bath. The galvanizing at this point in time was being done in a home-made galvanizing bath. It was also around this time that Galco started developing a design jobbing/commercial galvanizing along with its captive galvanizing. with a 7.2 x 2 x 2.2m bath. In the first year 1,200 tonnes were galvanized. 1968. Weighbridge system introduced recording weights and quantities of all goods in/out of premises. The old Imperial (pounds) weights system was converted to metric (kilos). At this point in time the site at Ballymount was also home to a company called Plateco which was involved in Electroplating. 1975. Weighbridge system introduced recording weights and quantities of all goods in/out of premises. 1980. Plateco / Electroplating business was sold and moved to a new site in Walkinstown and Galco focused on the fabrication and galvanizing. was introduced replacing the old ‘pigtails’ system. Shotblasting plant was introduced and the No. 1 bath was changed from a 7.2 m to an 8.5 m bath. It was an existing galvanizing plant which had being sitting idle for some years. Also around this time a No. 2 plant in Dublin became operational with a bath of 3.35m length. 1987. The EGGA (European General Galvanizers Association) Assembly was held in Dublin in 1987. This was the first and only time that the assembly was held in Ireland. The assembly brought the leaders in galvanizing from all over Europe as well as from Australia, Africa, Canada and the U.S.A. together to discuss the challenges within the galvanizing industry. It was a four-day conference that began on Sunday with a cocktail reception and ended on Wednesday at the Galco site, here in Ballymount, with site tours for the guests and a marquee for refreshments. Later the success of the assembly was celebrated by all staff in the marquee.